China has detained prominent rights lawyer Pu Zhiqiang  on the charge of “causing a disturbance,” what is seen as an attempt to deter activists from marking the upcoming 25th anniversary of the crackdown on pro-democracy protests in Tiananmen Square . At least 15 people – scholars, activists and relatives of the victims killed in the Tiananmen crackdown – attended the gathering at a private home in Beijing on May 3, 2014. At least five other people taken away for questioning after the meeting. Photos of Pu in the 1989 Tiananmen protest. Photo circulated on Twitter . Pu is a prominent figure in the Weiquan movement, having advocated for writers and journalists in a number of high-profile cases, including artist Ai Weiwei. He was featured in magazines for leading campaign against labour camps. Due to his outspoken criticisms of official policies, Pu is monitored by security forces, and has been detained and questioned on several occasions. Pu was banned  from all microblogging platforms in China in 2013 after he used them to publicly criticize retired senior leader of the Communist Party Zhou Yongkang . 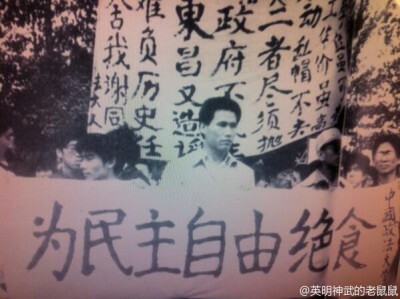 Pu also participated in the 1989 pro-democracy movement as a student. Any information related to the Tiananmen movement is still censored in China. A search of “Tiananmen” on popular microblogging Sina Weibo reveals a message telling users that results cannot be found according to related laws and regulations. Many lawyers showed concern for Pu and called for Pu’s release on Weibo. However, most messages supporting Pu were deleted. Pu Zhiqiang must be released. Is arresting lawyers the future direction of judicial reform? “The attorney “, a lawyer who pursues democracy, rule of law and justice fights for the truth and deeply inspires. The movie is based on the true story of former Korean President Roh Moo-Hyun. No need to repeat here how the film looks, go see it for yourself.